It’s hard to imagine that there could be any possible benefits of dandelions – after all, just the sight of these weeds poking out of the lawn causes even the most experienced gardeners to grimace and immediately find a shovel to extricate them from their new home. But wait! Before you take another step toward that shovel, just read on about why you actually want to KEEP these weeds in your yard (and why your body and your lawn will thank you for it later). You don’t have to go to the supermarket to get tons of vitamins and nutrients; in fact, the furthest you need to travel is your own backyard. Surprisingly, every component of the dandelion is edible and very safe to eat (as long as it hasn’t been sprayed with pesticides). Even better, every part of this weed also has amazing health benefits! Diuretic – dandelions are an exceptional diuretic, and eating the plant will increase your urine output. This helps rid your body of excess fluids and toxins. Helps Upset Stomach – dandelions (both dried and fresh) gently help to heal upset stomach and can improve digestion. Normalize Cholesterol Levels – studies have shown that dandelions may help lower the amount of bad cholesterol in your blood, while also raising good cholesterol levels. 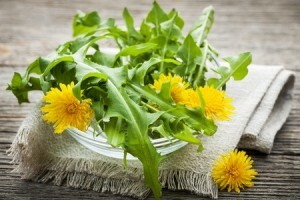 Abundant Nutrition – dandelions are powerhouses when it comes to nutrition, and are excellent sources of: magnesium, folic acid, fiber, zinc, protein, a multitude of vitamins, manganese, calcium, iron and so much more (1/2 cup of dandelion greens contain more vitamins than the average multi-vitamin!). Edible plants often provide the best nutrition, so save yourself some money and just eat what nature gives you. Wine just may be one of the world’s great equalizers; after all, if you’re wanting to convince someone to do something for you, what better motivation could you use than wine? Luckily, you won’t have to search for a liquor store if you’re stranded in a survival situation – you can just make dandelion wine yourself. All you need is dandelion flowers, brewer’s yeast, water, and sugar. Soak the flowers in water for a few days (maybe two quarts for one batch), then drain the water and add it to four quarts of fresh water, along with any flavorings you want to add (some people like to add a few tablespoons of fruit juices or ginger). Then add six cups of sugar, and boil the liquid for an hour. Let it cool, and filter it (maybe with coffee filters) to get just the liquid out. Add a pack of brewer’s yeast, cover it, and then leave it until morning. Pour the liquid into containers and put them in a dark space, allowing them to ferment (about 3 weeks). After 3 weeks, put a cork/lid over the top to seal the container, and store them up to a year before drinking. Dandelion leaves are essential for making delicious and nutritious dandelion tea. Two tablespoons of chopped fresh leaves in a cup of hot water and steeped to perfection will not only help relieve stress, but also has been proven to decrease bloating, detoxify the liver, and lower blood sugar levels. Believe it or not, the dandelion really is the weed you need. For example, if you’ve got an area of soil that’s been stripped of grass, you can actually use dandelions to help replenish the soil. This is because dandelion roots spread wide and deep, loosening hard-packed soil. The roots also bring calcium and other nutrients from deeper soil up to the top soil, and makes them available for other plants (allowing other plants to grow). Dandelion roots also help to aerate the soil and help reduce erosion. That’ll make you think twice before mowing over those dandelions next time you cut your grass! One of the most surprising uses of dandelions is their ability to kill warts. I think we can all agree warts are painful, bothersome and just downright ugly. Instead of having to deal with them every day, kill them off with dandelion stalks. Pluck a few dandelions and cut the flower off the stem with scissors. Then, squeeze the milky liquid from the stem onto the wart. Let the liquid dry, then cover with a bandage. Repeat this process twice a day until the wart is gone completely (about 7 days). Although it isn’t advertised nearly as often, 1/2 a cup of dandelion greens has more calcium than 1/2 a glass of milk. Just imagine that. 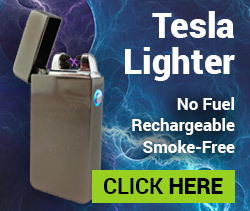 They’re also much cheaper than the milk you buy at the grocery store. Due to the rich vitamins and cleansing qualities dandelions possess, consuming dandelions has been shown to help treat eczema, acne and even gout. 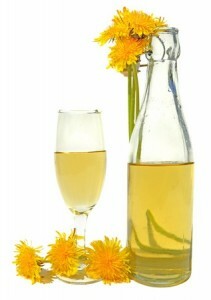 Some reports suggest that making dandelion tea and applying the liquid directly to the skin will help eczema heal even faster. Clean the roots and cut them into small pieces. Now you can can choose to roast them or keep them as they are. To roast, spread the root pieces on a cookie sheet at 250° F for about 2 hours. Leave the oven door open while cooking so the roots will dry. If not roasting, blend the roots (in a blender or food processor) until they are coarsely ground. To make the dandelion coffee, add 1 tbsp. of roots (dried or blended) to a cup of hot water and steep. Flavor as desired. Store the roots in an airtight container in-between uses. Bruises can seem like they take forever to fade, but dandelions will help speed up the process. These flowers are an excellent source of iron, which helps heal bruises faster (especially when due to anemia or low blood iron). Dandelions also have the surprising use of creating an excellent muscle relaxer. To save money at the grocery store and go the natural route, soak finely chopped dandelions together with burdock root, yellow dock root and lobelia for two weeks in a quart of rubbing alcohol. Lather the liquid onto your skin and feel your muscle soreness begin to wane. You’ll notice that some of the best ways to reap the nutritional benefits of this awesome plant is by making dandelion tea, dandelion coffee or dandelion wine. And to do that, you’ll need water – a lot of water. Now if you’re in a survivalist situation, you could go ahead and weigh yourself down with all your water bottles and little containers you’ve filled with water (and pray it’s enough to last you the rest of the week)…or you could just get one of our handy 2 gallon water storage bags. 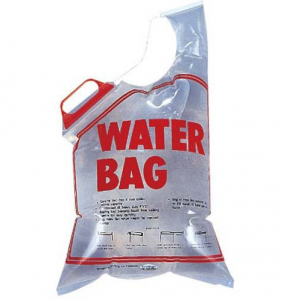 Each bag is extremely durable, easy to transport (has a strong carrying handle) and has a water-tight seal to keep that precious water inside at all times. 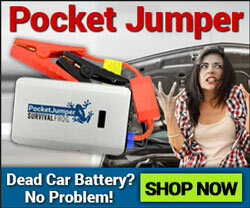 Plus, it folds flat when empty, making it an ideal storage item for your survival bag. Whether you’re in need of water for dandelion tea (or just to prevent dehydration) having a water storage bag with you at all times is just smart prepping. 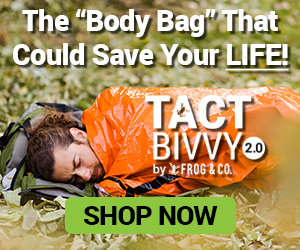 This entry was posted in Natural Remedies, Prepping, Survival Food Recipes and tagged best survival foods, food, gardening, medicine, survival food on March 29, 2016 by Survival Frog.